I've been spending my evenings crocheting. It's the perfect time of year for it, don't you think? 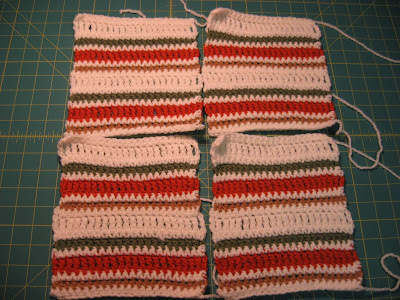 Clue #4 of the Bernat Mystery Afghan Crochet Along is now complete and I have started working on Clue #5 which was posted this week. These are the four blocks of Clue #4, the first multi-colored block. 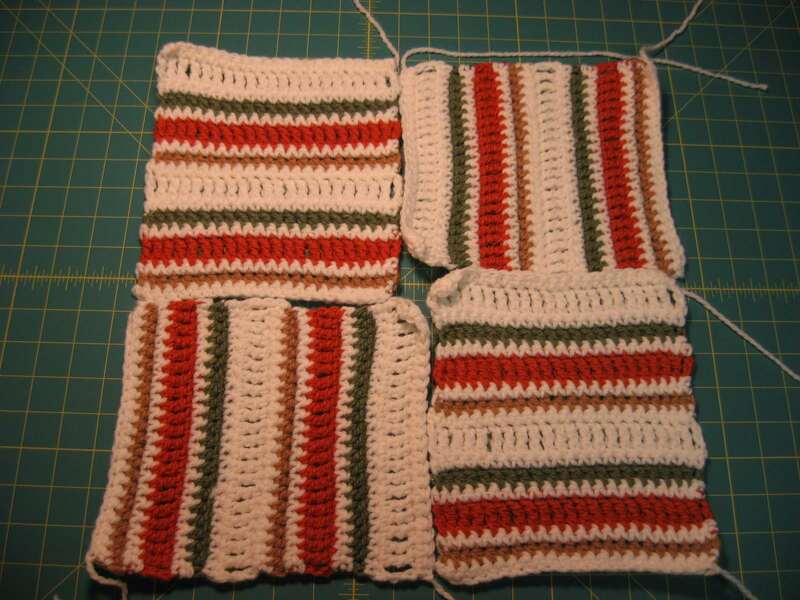 This block required the use of single, half double, double and triple crochet so that, along with the color changes, kept it interesting. 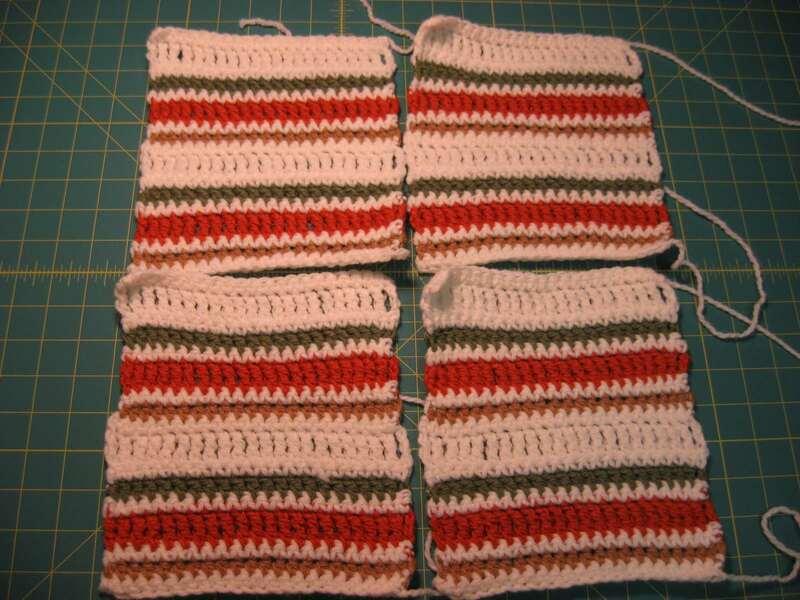 You can see here that my blocks are not exactly square, but they are not too far off from being square so I'm pretty confident that they will work out fine once they are put together with the other blocks in the afghan. So here is one of each block so far. 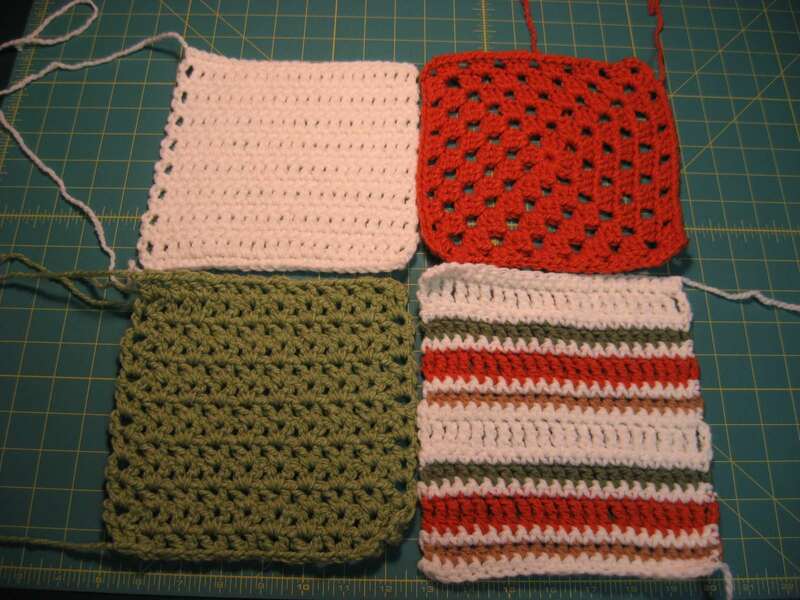 I think my favorite one of these is the green v-stitch block. I think this stitch would make a lovely shawl! I'll keep it in mind next time I want to make one! How are you spending your cozy fall evenings? I am also working on the CAL! I am not a fan of Clue #4 though I must say. The color changes are interesting, but I'm just not digging the pattern. Fortunately I finished that clue today. Really hoping the finished afghan comes out wonderfully! It almost looks like a scrap quilt. It will be nice to see when the designs are all together. I like your colors and I can't wait to see them all together. I guess every mystery should have suspense! I'm crocheting, too. I'm still working on the hideous green afghan that I'm making from your single crochet pattern. I do manage to watch some baseball games while doing so. I like the colors. Post what it looks like after finished, it'd be nice to see it. My First Quilt Along! I'm very excited!